I fell in love with this layout from traveler/Louise because of the colors and her take on the Sketches In Thyme sketch. She has been a great addition to the team! 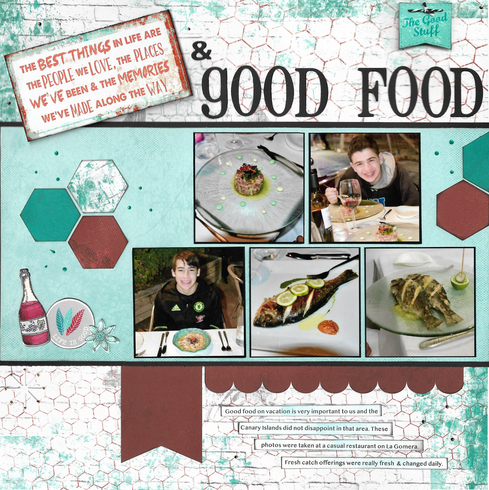 This digital layout from Tammys_Scrapping popped out at me from the gallery. Love that rainbow. I loved this pretty birthday card from Tammey. 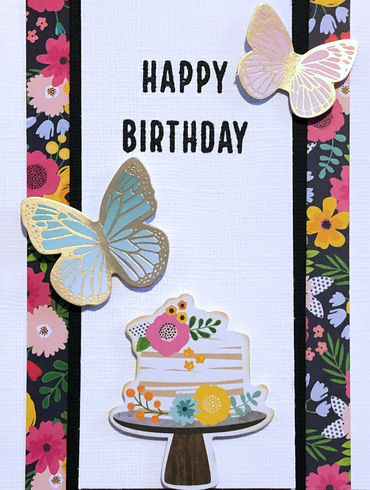 That cake and butterflies make the card really extra special. 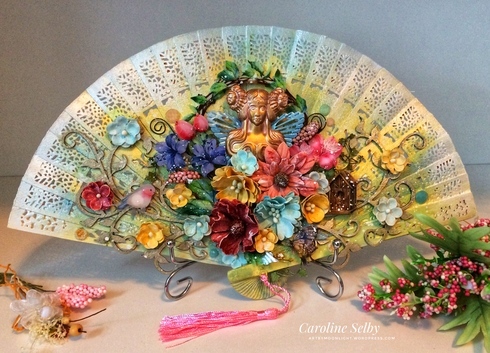 And finally I chose this gorgeous craft project from SweetCaroline. Thank you Chris for using my card...I am honored. Congrats to the other Cherries. Awesome choices and congrats Cherries. Nicely done! Congrats to the creators! Nice job Chris!! Beautiful work ladies!!! thanks for choosing my layout! and congrats to the others! Wonderful choices! Congrats to everyone! Great choices! Congrats to all! Super wonderful choices, Chris! I loved those pages when I first saw them, too. Eye catching! Wonderful choices! Congrats to the chosen Cherries!